Black Enterprise: "What are five things girls/women can learn from Girl Scouts that relates to career or business?" Lindsey: "Courage: Being able to find your voice wrapped in a set of values to have positive contribution. Confidence: Using that voice in a way to engage in today’s issues; making a platform. Character: Being aware of how we do the things we do and how we present ourselves to world and others. Acceptance: Knowing there’s not one type of person who’s better than anyone else. Leadership: A collaborative leadership, teamwork, and emotional intelligence that drives success." 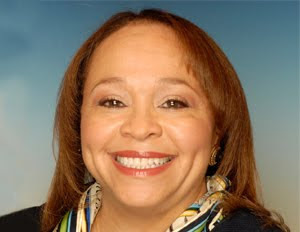 Connie Lindsey is the executive vice president and head of corporate social responsibility at Northern Trust in Chicago. Lindsey has taken the leadership skills and confidence learned as a Girl Scout with her throughout her climb to the top in her career, and finds the experience to have been vital in her success. She now serves as the organization’s national president, carrying the torch passed to her by predecessors in empowering more girls and young women to compete in today’s fast-pace and competitive world.